The Ven. John Baptist de La Salle, the True Friend of Youth.. The Ven. John Baptist de La Salle, the True Friend of Youth.. by Francis C Noah was published by Wentworth Press in August 2016. The ISBN for The Ven. John Baptist de La Salle, the True Friend of Youth.. is 9781371068196. Reviews of The Ven. 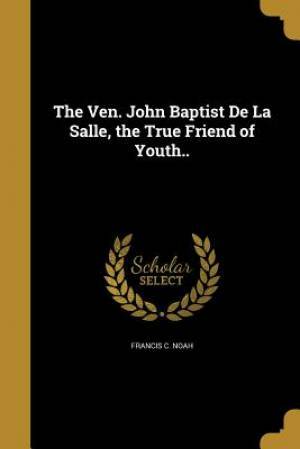 John Baptist de La Salle, the True Friend of Youth..
Be the first to review The Ven. John Baptist de La Salle, the True Friend of Youth..! Details for The Ven. John Baptist de La Salle, the True Friend of Youth..